Courtney Love claims The Muppets’ cover version of a famous track by her late husband Kurt Cobain’s band Nirvana is used without her permission. Kermit the Frog and his Muppets co-stars sang a version of Smells Like Teen Spirit in their 2011 film. 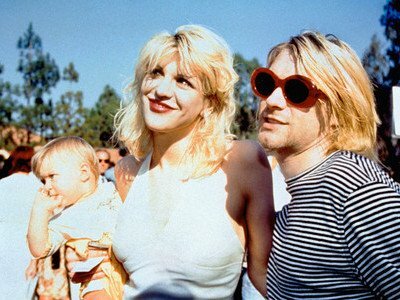 Courtney Love, 47, has told TMZ that movie makers Disney have “raped” the memory of Kurt Cobain by using the track. Furthermore, TMZ claims Courtney Love is angered that nobody asked her permission to use the song. Courtney Love maintains she has the power whether to approve the use of Kurt Cobain’s songs for commercial purposes. However, TMZ reports Courtney Love sold off half the rights of Kurt Cobain’s catalogue to a company called Primary Wave Music. Courtney Love gave the company rights to distribute his music and apparently the use of the track in the Muppets movie was approved by it. Primary Wave Music is also said to have got permission from the two surviving members of Nirvana, Dave Grohl and Krist Novoselic. A chunk of profits from royalties also goes to Courtney Love and her child with Kurt Cobain, Frances Bean. Kurt Cobain killed himself in 1994 by shooting himself in the head.